Arrive Bangkok a, Welcome at the airport at Gate No. 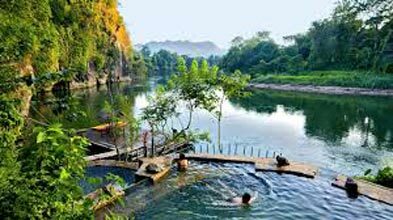 3, near, information center,after clearing custom, you will meet Maujitrip representative, who will help you in Pattaya transfer, enjoy 1.5Hrs road journey from Bangkok to Pattaya, Check in to the hotel in Pattaya, Overnight stay at hotel. Breakfast in the hotel, PICK UP TIME: 08:00 – 09:00 hrs. : PICK UP: HOTEL LOBBY (Clients must report to lobby 15 mins prior to pick up, Pick up from hotels in Pattaya by AIR conditioned vehicle (Sharing). Depart by speed boat for Coral Island. You may enjoy various beach activities such as water ski, water-scooter, parasailing, available at own expenses. (NOT INCLUDED IN PACKAGE) Lunch will be served in a local restaurant at mainland. After lunch, transfer back to the hotel with AIR conditioning vehicle. Clothing: Casual wear, slippers, towel, etc for sea trip is necessary. If you have a physical problem or congenital disease, please urgently inform tour guide. 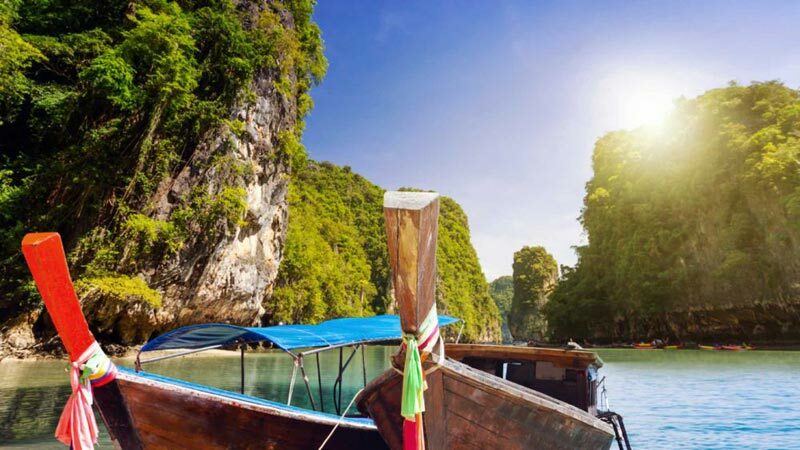 Please bring a change of dry clothes for return trip Coral Island : Known as Koh Larn is the best known out of a group of small islands a few miles off the coast of Pattaya. It is popular with day visitors who want to spend a day on a wide sandy beach and do some snorkeling. Island of Tranquility Koh Lann offers a change of pace from the busy beaches of Pattaya - an island well known to Thai and foreign visitors for its tranquil surroundings, beautiful beaches, glass-clear waters and extensive coral. 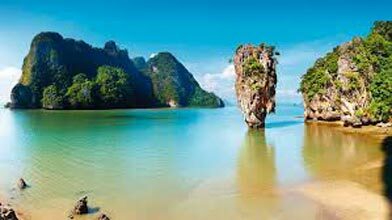 This landmass of four square kilometers, just seven kilometers from Pattaya Bay, sports three beaches and is Pattayas closest island just a 45-minute boat ride from shore. Watery Pursuits Koh Lann is a lovely spot catering to all kinds of tourists. Whether you want to laze around on the islands soft, white sand, or get more lively and play a few water sports is up to you. The island offers parasailing, water-skiing and jetskis. Snorkeling and deep-sea diving are recommended off the nearby islands of Koh Krok and Koh Sak, where there is an abundance of coral and undersea life waiting to be discovered. However, tourists should bring their own diving equipment since there are no dive shops in this area. Breakfast in the hotel. 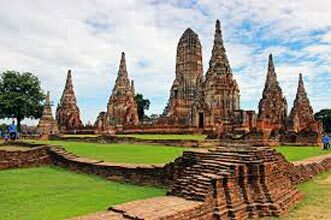 After breakfast check out from the hotel & proceed towards Bangkok, Check in hotel later enjoy Half day City tour. 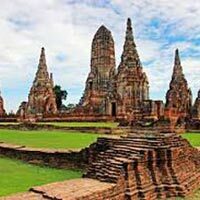 HALF DAY CITY TOUR – BANGKOK 1215 – 1300 hrs : Departure from hotel for City Tour by air conditioned vehicle. 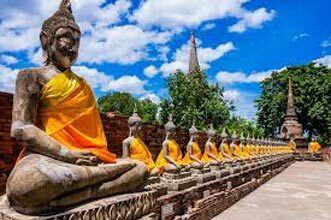 (SIC Sharing) You will visit two most significant temples in Bangkok: Wat Trimitr (Golden Buddha) and Wat Pho (Reclining Buddha Temple) Wat Pho–is the largest Wat in Bangkok, and is technically the oldest, as it was built around 200 years before Bangkok became Thailands capital. It was almost entirely rebuilt by Rama I when the capital was moved to Bangkok. 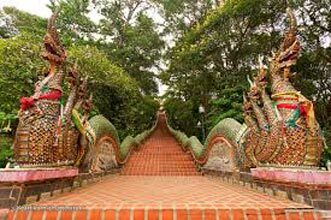 It holds the dual honors of having both Thailands largest reclining Buddha image and the most number of Buddha images in Thailand. Wat Trimitr – The golden Buddha is made from solid gold weighting 5.5 tons. 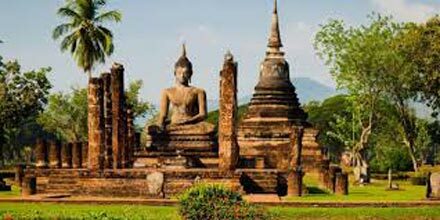 It is a fine example of Sukhothai art and was discovered, by chance, under a layer of stucco covering during construction of the temple.. After temple visit, proceed to Gems Gallery: The Beauty of Thai Jewelry and gemstones is well-known the world over. The quality of the precious stones, design, cutting and polishing skills of Thai artisans combine to give rise to world class Jewelry and Gems. Experience a first-hand demonstration of the process from mining to finishing diamonds and other Thai local products. An ideal place to buy souvenirs.